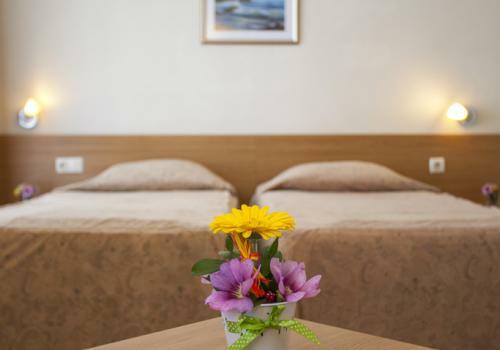 Melsa COOP Hotel is located in the centre of the town of Nesebar and is in close proximity to the isthmus connecting the old and the new town. Nesebar is the perfect place for romantic trips or family vacations. Melsa COOP Hotel is part of the COOP – Your Place for Holidays hotel chain. 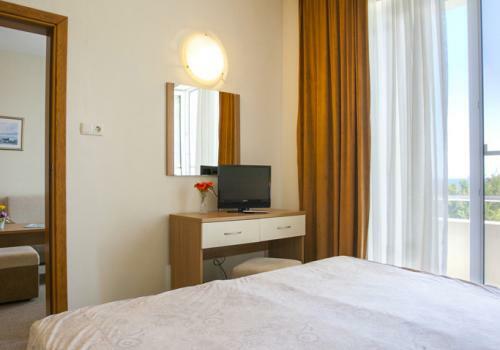 Melsa COOP Hotel offers 31 stylishly furnished double rooms that provide cosiness and comfort. The rooms are furnished with two separate beds and they allow for the addition of an extra folding bed for a third adult person or a child. Baby cots (cribs) are provided free of charge upon request. Melsa COOP Hotel has 7 gorgeous stylishly furnished double rooms that offer cosiness and comfort. The rooms have two separate beds. Baby cots (cribs) are provided free of charge upon request. 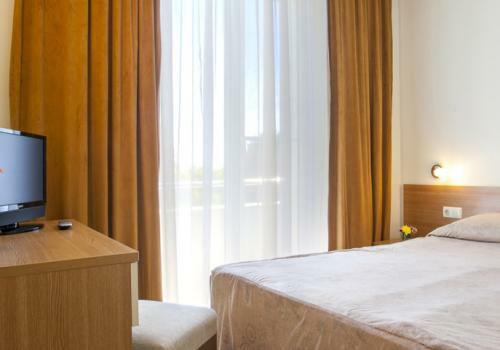 Melsa COOP Hotel offers 11 stylishly furnished triple rooms. The rooms have three separate beds. Baby cots (cribs) are provided free of charge upon request.